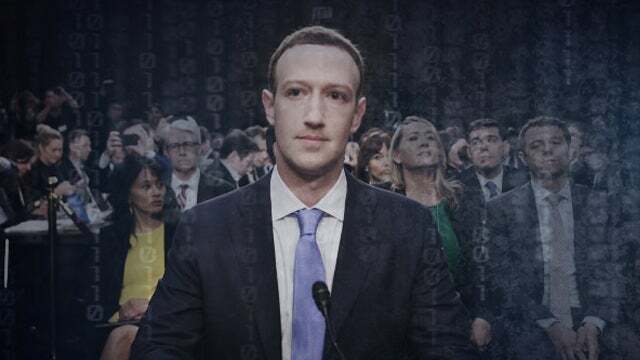 RUSH: Oh, Zuckerberg got one question about all of the assistance Facebook gave Obama, and he kind of hemmed and hawed and didn’t want to go there, only one question. Mr. Snerdley, I know you’re screening. Could I ask to interrupt you just one — Did you watch any of the Zuckerberg testimony yesterday? Were you at all amazed at how — I gotta be careful — I don’t want to be insulting here. I’m really not trying to be insulting. I wasn’t surprised. It was sad to see the relative ignorance of members of the House and Senate on tech matters. It was embarrassing in a couple occasions. The questions were literally embarrassing. The realization that these people don’t have even a basic understanding of tech and what social media is and how it operates and what its purpose is. I think part of it is due to many of their ages. (interruption) You don’t? You don’t think it has to do with their age? I certainly do, it has to. This technology did not happen to these people in their youth. They would have to learn this stuff as adults. (interruption) That’s because I got started on it in 1988. I didn’t try to learn this stuff after I’d hit 50. By 35 or 30, I’m an expert on tech of the day, and I have stayed with it. But my father, at age 65, we tried to get him to use a computer just to — he was a news junkie. He didn’t want to touch it, didn’t want to go there, wasn’t interested. He kept saying, “I’ll do it, son. Got a lot of time, I’ll do it, son.” Never went there. The remote control on the TV was enough. And the remote control on the TV back then actually moved the analog dial. It was an old Zenith remote control, and if you hit the button, the dial on the TV actually rotated to the next channel and you had to keep hitting the button to get to a channel where you had a signal. And we only had three — well, two and a half, the one from Illinois was barely there. But I think a lot of these people, I’m watching Dianne Feinstein and she’s California, you know, just north of Silicon Valley, but some of these others that were literally clueless. But it was clear, whatever the reason, whether it’s generational or whatever, there was so much ignorance — and I’m not trying to be insulting here. I’m really not. There was so much lack of awareness. Maybe that’s a better way to say it. It was stunning. I know there are a lot of seniors who are tech savvy, but that’s probably because they got started on it before they were seniors. These people have staffs to do everything for ’em, write their fundraising speeches, prepare their fundraising itineraries, send the request letter for a private plane for the fundraiser. They got people to vacuum the floor, got people to get ’em coffee on the floor of — the pages run around and do whatever. Tech is a do-it-yourself kind of thing. And the more you learn about tech, the more you can automate it to help you save time. These guys don’t do stuff for themselves. And if you love tech, you want to do these things and you want to learn how to do it. You want to learn more about how it operates so you can streamline it and take advantage of it. And other people are just scared to death of it and afraid and suspicious of it. But the point is, these are the people, if we ever got to the point that they start regulating it, these are the people that are gonna regulate social media, and they in large numbers don’t get it. Now, their staffs probably do. You know, for every Senator foghorn sitting up there bloviating, you’ve got 25 or 30 young Millennials back there in the office, and they would be the ones that really write the legislation, in collaboration with lobbyists on K Street, of course, and would do all the regulating on social media, which would be to find ways to keep Republicans and conservatives out of it, off of it, not permitted to be on it, which is what is happening in social media as we speak. That’s what’s happening. And yet the questions about that yesterday were few and far between. RUSH: There is a Harvard poll out that has results all over the board about a bunch of different things. Here’s one. A new survey published by the Harvard Kennedy School Institute of Politics revealed that only 4% of Millennials trust Facebook. According to the survey, only 4% of Millennials between 18 and 29 trust Facebook all the time. Only 22% of respondents said that they trust Facebook most of the time. It means only a total of 26% of the surveyed Millennials have a medium to high trust level in Facebook. Now, what does that mean? How do we take that information and apply it to daily or day-to-day use of Facebook? RUSH: This is Jessica in Toledo. Great to have you, Jessica. Hi. CALLER: Hi, Rush. It’s such an honor to talk to you. Mega dittos. CALLER: Yes. I just want you to know I’m a Millennial and I’m a huge Trump supporter, so we are out there. And I’m gonna get right to the point, and it’s in regards to the Zuckerberg testimony yesterday. And there I make my point. So I sell digital advertising, I’m in the advertising industry, and as I’m sure you know, advertisers can dial down so deep with their target audiences. We can target by geolocation based on recent search behaviors and any search engine, interests, age, you name it. And the list goes on and on. And it isn’t just Facebook. I mean, it’s Apple, it’s on Google and other tech platforms. So my question is — don’t get me wrong, I hate the conservative censorship on Facebook. I think it’s despicable. But because we can target people on any platform, why is the target on Zuckerberg’s back? I mean, this stuff goes so much deeper than the targeting that people get on Facebook. RUSH: There is no target on Zuckerberg’s back. This is all political theater. RUSH: — isn’t gonna happen again. Facebook Twitter is all about — people are vomiting everything about themselves! You can’t blame Zuckerberg for sitting there and recording it. People are volunteering it! That’s why all of this is a bunch of political theater. He’s not even under oath in these appearances. 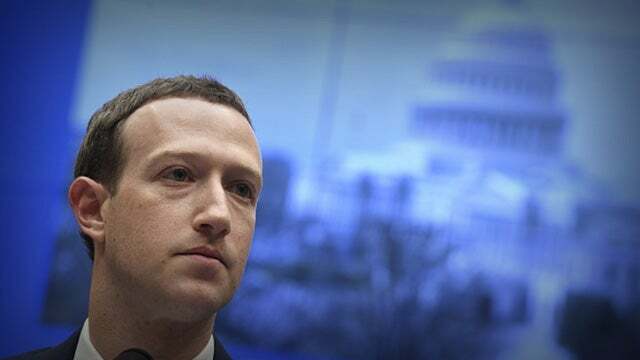 RUSH: What did we learn from Zuckerberg from watching yesterday? He’s up there testifying again today. First thing, he sat on an extra seat cushion. Did you see this? Zuckerberg is 5’7 and he wanted to appear taller, so they got a seat cushion that looks exactly like the seat in that chair, and it added about three inches of height. But the problem is there are photos all over the place of that now. That’s not good. I don’t know if it’ll have any impact on the overall Zuckerberg reputation. But it’s always gonna be something people joke about now. Much of the time — and I watched yesterday — the guy looks like deer-in-the-headlight eyes. He admitted that Silicon Valley’s extremely left-wing. He cannot define hate speech, but thinks it’s pretty much what liberals think of conservatism. But he says not to worry because they’re gonna have artificial intelligence. They’re gonna be able, in 10 years or so, Facebook is going to have computers that will recognize hate speech before you post it and will be able to eliminate it before you post it. It will see it. Their computers will be so artificially intelligent, be so much computer learning going on that before you even post, it will be monitoring as you write your post, and any hate speech, they’ll get rid of it before you even post it, nobody will ever see it. Now, the problem with that is, artificial intelligence is only as good as the people doing the data input. So artificial intelligence, defining hate speech, there won’t be such a thing. It will be liberals who program the artificial intelligence deciding what hate speech is. And when this guy was asked about the censorship of conservatives, he started stuttering like a stuck robot. Snerdley, what is the — those two black ladies? Diamond and Silk. He was asked about them. They were pulled. They were pulled from Facebook because they were divisive, dangerous to the community. Dangerous to the community. I mean, that’s right out of — I don’t want to say the word Stalinist, but dangerous to the community? And all they are is a couple of funny, hip black babes for Trump. Zuckerberg called it a mistake or something, and they’re gonna go back. They’re gonna get back. They wouldn’t have gotten back if somebody hadn’t raised hell about it. Ted Cruz — oh, and that’s another. Cambridge Analytica, you know the great irony, Cambridge Analytica was actually working for Cruz! Cambridge Analytica, the Mercers, were originally for Ted Cruz, until it looked like Trump was gonna win the nomination, they shifted over to Trump. But the Mercers were always the money behind Ted Cruz. Not totally, but they were big money behind him. And Cambridge Analytica was trying to do whatever they were doing to benefit the Cruz campaign, the Cruz operation, not Trump. But it doesn’t matter. Since Trump won, everything was for Trump. And Durbin said, “Well, if you’ve messaged anybody this week, would you share with us the names of the people you’ve messaged?” And Zuckerberg paused seven or eight seconds and said, “Um, no.” Would not answer. So basically what Durbin did was ask Zuckerberg if he would answer questions and provide information like the information Facebook shares with everybody about their users. And what Durbin exposed is that Zuckerberg would not willingly tell anybody anything about him while his company is using all of this same kind of information about all of its users to earn its money. But Zuckerberg personally would opt out and does opt out. Durbin said, “I think that might be what this is all about, our right to privacy, the limits of your right to privacy, how much you give away in modern America in the name of connecting people around the world.” Now, again, I’m gonna come to Zuckerberg’s defense here because Zuckerberg’s not stealing anything. Everybody using Facebook is volunteering all of this kind of information every day about themselves. They want people to know about them. The vast majority of people on social media crave attention. They crave recognition. They crave being noticed. They crave likes. They crave thumbs up. They tell themselves they’re stars, they’re budding stars. They have audiences. They have all these likes and they have all these thumbs up. I knew this about social media in its infancy that it was gonna have this psychological effect on people ’cause most of the people on social media are lying to one extent or another about themselves, about how hip they are, how cool they are, how many friends they have, how active they are, how exciting their lives are. And most people’s lives are nowhere near the way people lie about their lives on Facebook and Twitter, so it makes everybody feel inferior or like something’s wrong with them. So they start lying themselves about how exciting their lives are. And there’s nothing worse than lying about how exciting your life is and one day realizing you’re just a dryball dullard. And you become afraid people are gonna found out about it, now you’re a mess. But Facebook isn’t stealing anything from anybody. They maybe early on misled people about how the data would be used, but they are not the reason people are providing all this personal information. People are doing it themselves, willingly, happily, hopefully people are vomiting all this personal information.